If you’ve been following me on Instagram (@audreyallure), you probably have seen my post on those Jing Ai chubby sticks, which I received from the Accessories Council Valentine’s Day picks. It was the first time I’ve tried chubby sticks, since before I preferred lip wands or regular lipsticks. I was wary that my clumsy self wouldn’t be able to apply correctly, without the precision a smaller application would offer. I have been proven wrong. And now, I am obsessed with how easy it is. That, and how long the color lasts for a long time. During this winter, I’ve been playing with different lipsticks and lip tints. My natural lips are already slightly darker so sometimes it may seem like I am already wearing a shade, so lip tints are hard to show through. 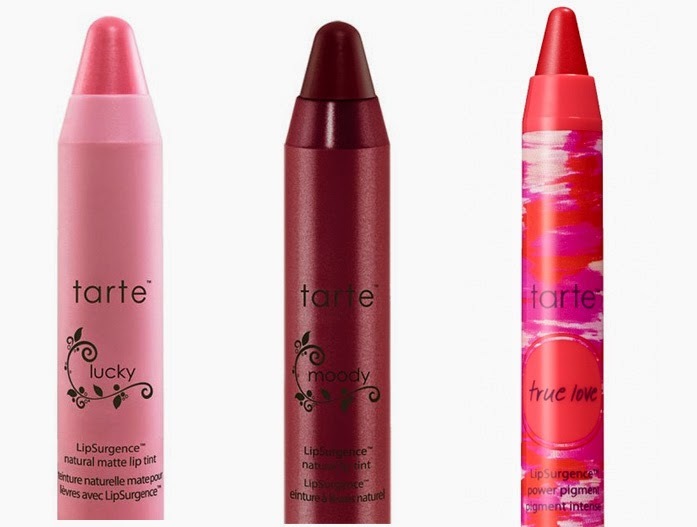 I found some beautiful colors from tarte – my favorite hues are pictured above. Lucky seems like a great everyday color. It’s versatile for a day at work or a night out, and goes with any outfit and skin tone. A matte finish, Moody, is a deeper, gorgeous shade of red. I’m always wishing I could wear darker shades more often! As for a vivacious pigment, True Love is my pick for days when you feel bolder and brighter. I’ve always eyed Stila chubby sticks as well. These are definitely fun, especially if you’re an adventurous night owl. 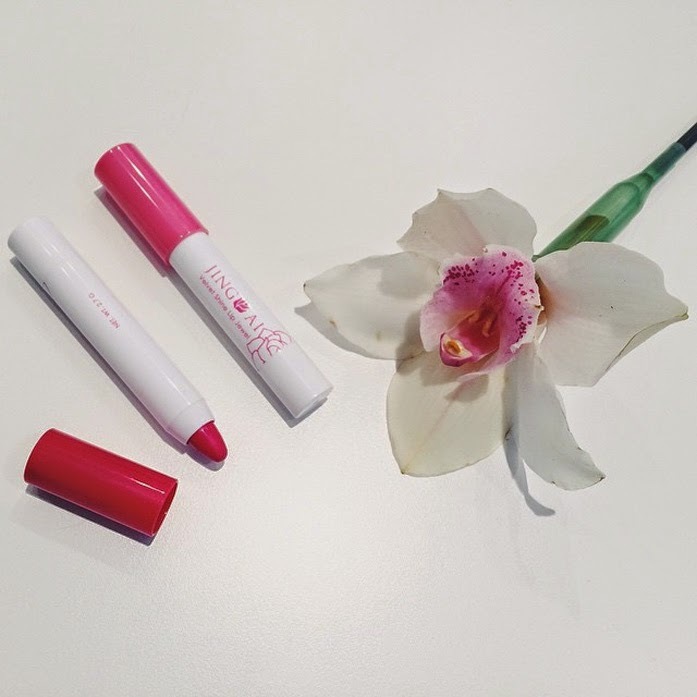 These after glow lip colors, pictured in a hot pink and in their Tangerine Dream shade. Both options change color once under a UV light – perfect opportunity to show them off at a night club or bar in the city. The hot pink comes from the Vivid Violet shade, and the Tangerine Dream turns into a more vibrant orange. I’ve had those black light nail polishes, and while it’s different than having something glow on your face versus your nails, I find the change so entertaining & definitely a conversation starter. Lip tints are so useful in a way that you could re-wear them as cheek tints or to even add color for your eyes. (Of course, I wouldn’t recommend using the Stila ones for your cheeks unless you want them to literally glow). I also find that these chubby lip products are moisturizing for your lips and don’t dry them out, which is definitely ideal especially since it’s looking to be a much longer winter. Which makeup product are your currently obsessed with? I recently became a fan of chubby lip pens. They're such a useful product to have in your bag.